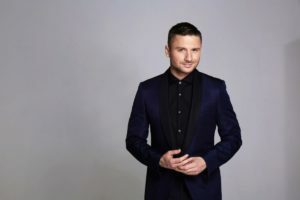 Sergey Lazarev, Russia’s hopeful for the 2016 Eurovision Song Contest, and favourite according to bookmakers, has been performing his entry You Are The Only One live on stage giving us a little preview of what we might see in Stockholm in just a few weeks. The 32-year old singer from Moscow was announced as Russia’s representative back in early December and since has become the main favourite to win the big competition in Stockholm, according to the bookmakers. Since its debut back in 1994, Russia has become one of the most succesful countries at the contest. Beside Dima Bilan’s win in 2008 the country further reached four second places and two third places in the Grand Final of the competition. Russia missed the final only once, back in 1996 when Andrei Kosinsky didn’t make it through with his entry Ya eto ya. Last year the country from Eastern Europe was represented by Polina Gagarina and her song A Million Voices which finally finished second in Vienna.